2013 has be a very busy year for me and apart from some Angling Lines field testing trips; angling has taken a backseat. I’m a member of the British Carp Study Group and over the years have carried out most jobs helping to run the group. At the end of last year I was the Magazine Editor when a long standing project to produce the 7th BCSG Book began to pick up momentum. We had held a brainstorming meeting locked away in a hot meeting room at Newport Pagnell services. 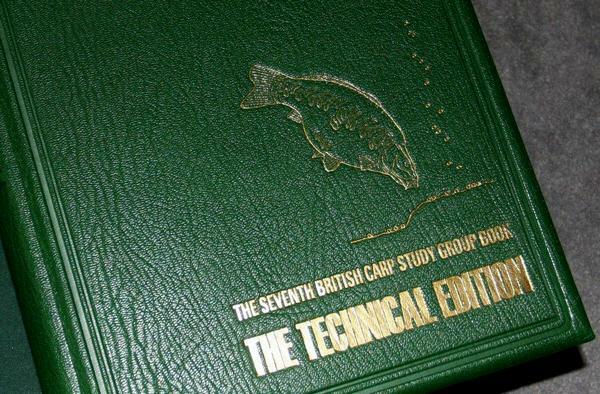 This had been a couple of years earlier and during that meeting we came up with a concept for an ‘advanced’ technical book on carp fishing. Due to working on the acquisition of a couple of new lakes the project was sidelined for a while but now with a new team of Brian Skoyles, John Carver and myself it was all systems go. We were ably assisted by Mike Starkey a book designer with years of experience; who had helped produce the groups’ first book along with Peter Mohan, the groups’ founder, over forty years ago. To compound my own problems I also took over the chairmanship of the group in June. A glutton for punishment. I think? 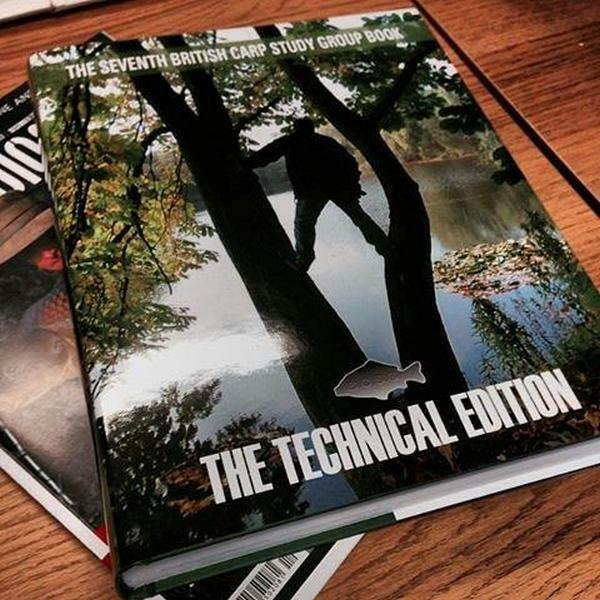 At a new meeting we expanded the chapter plan to cover every conceivable aspect of carp fishing and then scoured our membership list to find the experts we needed to produce the chapters. Our brief to the writers was simple; we gave them a title and then simply asked them based on their years of experience to give their views on the topic. The response was amazing and the book grew to almost 600 pages before we had to say stop! The amount of work this generated astonished us all. Co-ordinating almost 70 writers into a production plan to meet strict print deadlines was exhausting. Then there was reading, correction, rewriting, spell and grammar checking, trying desperately not to alter the voice of the individual writers. All this was incredibly time consuming and we found ourselves working 12 hour days for weeks and weeks throughout the summer. Proof reading was a mammoth task but finally we had a PDF file of the whole book ready to go to print. During the production period I had started to think about the book launch. I booked a weekend at the Lands End pub at Charvil near Reading which is now famous as the venue of choice for launching new fishing books. The owner Steve Collier is an angling fanatic and loves to host these events which put him in touch will all his angling heroes. I booked the 7th December so the pressure was now on to print and deliver the books. I also had to select the materials and help with the design of the limited edition leather bound copies; a really daunting task. At £250 each they had to be right. Over the next few weeks while the book was being printed my attention was on the launch and promoting the book. 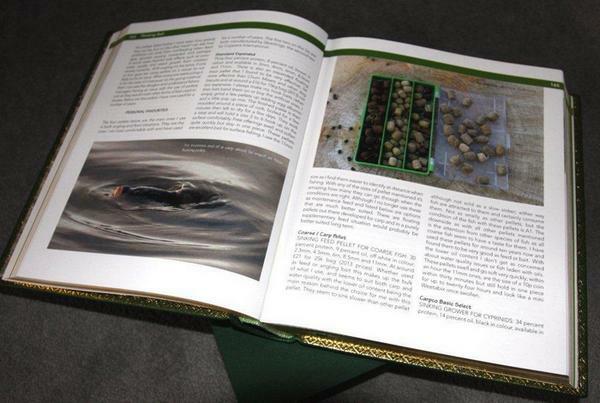 The book was being printed in Malta, when it arrived in the UK we needed six weeks to turn print blocks without covers into luxurious leather bound copies. Labels for 100 the limited edition hard backs had to be designed and printed as well as insert cards for the autograph hunters to get signatures. We needed as many of the writers as possible at the launch to attract the buyers so I started to put the pressure on. A great deal of my time was spent on press releases, arranging book reviews with the angling magazines and creating a dedicated Facebook page for the book. The Facebook page has been running for almost three months now and was updated regularly with anecdotes, photographs and topical information on the book, the writers and the BCSG. It received tens of thousands of views. You can view it here. 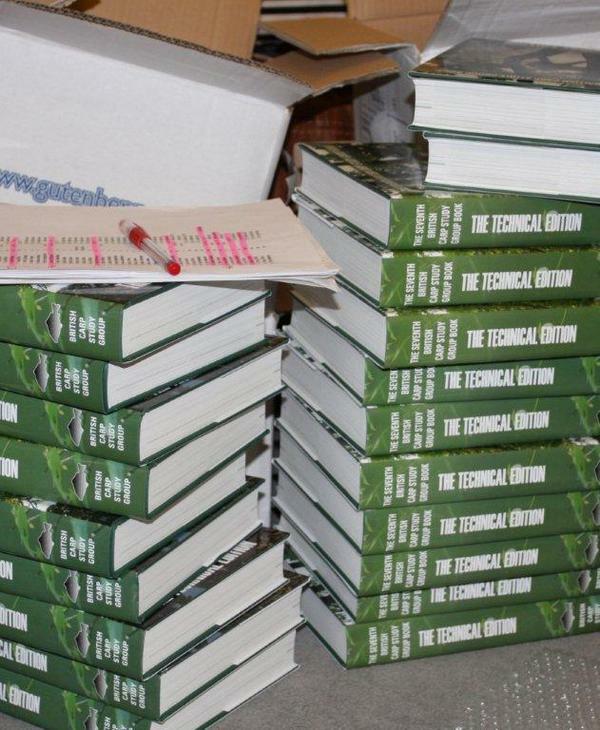 We were racing towards the official launch now and one of my standout moments during that time was when a box was delivered containing my advance copy of the book from the printers. That’s when I knew all the effort had been worthwhile. It was a real WOW! moment. Although everything had been organised with military precision there’s always room for something to go wrong. The bookbinder made a mistake and thought the book launch was a week later, but luckily we noticed that and put the pressure on and the leatherbound copies were completed just the day before. The books are incredibly heavy over 2.2 kgs each so I had organised three of our members to collect 400 copies to take to the launch. When the second driver arrived I got a frantic call to say there were only fifty books! TIME TO PANIC! I’ve got possibly 300 customers travelling from all over the country to a book launch with no books Aaaarrrghhh!!!! . A few frantic phone calls and some driving that was probably illegal and another 150 books were rescued from the warehouse only seconds before it was locked and the staff disappeared for the weekend. Our main distributor had collected 200 books earlier in the day and taken the books earmarked for our show. A close call but the launch was rescued! The book launch was amazing better than I could have expected; the doors opened at 12 noon but people started arriving at ten. By twelve the pub was rammed with eager buyers filing around the writers collecting autographs. 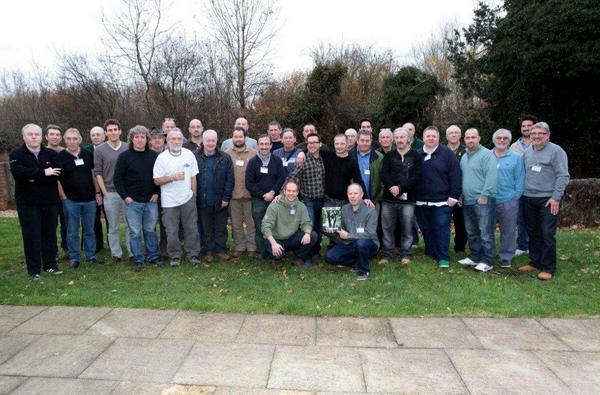 Over forty of the writers attended included many well known names Pete Springate, Chris Ball, Gary Newman, Keith Jenkins, Brian Skoyles and Angling Lines own Shaun Harrison. For many of our writers it was their first time in print so the occasion was even more special. As well as being a book launch it was a very special social event with members ‘socialising’ in the bar till the early hours. The last week has been catch up time, all the special orders have been dispatched and the online orders are flying in. I think it’s fair to say we have a success on our hands. Time to relax and go fishing now I think. You certainly have been fully committed to the launch of this book and deserve all the praise that you get for it. On one of our French trips this year we had to cut it short for a meeting that you had to attend. I am sure this is one of many commitments that you had to re-arrange to get the book on Schedule. Well done Ron. Next time a bit more delegating is in order, after all you are the Chairman. The final product is such a magnificent volume, I am sure it will be around and referred back to for many years to come. An incredible amount of work has gone into this veritable tomb and so much information given away on a plate from the group that many perceive as being quite secretive keeping most of the information within the group. Well, not any more this book gives so much away. I am looking forward to Christmas morning when I finally get my hands on a copy (my wife brought it for me as a present). From the reviews I’ve seen so far, I’m not going to be dissapointed!